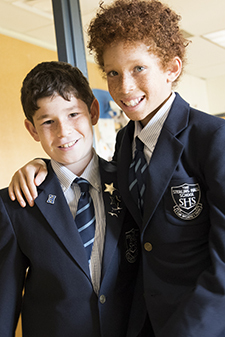 Our Athletics program is specifically designed for boys in their formative years. Boys receive daily physical education as well as many co-curricular athletics opportunities. 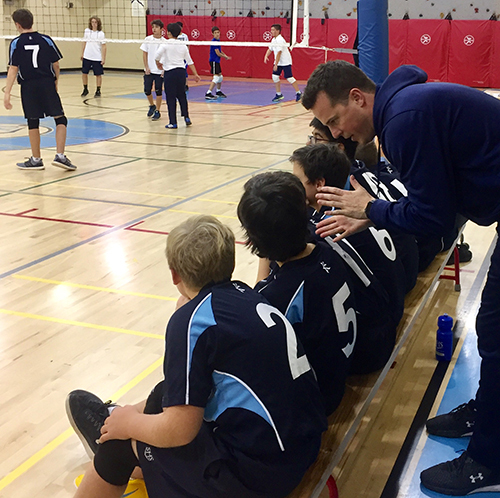 As a small school, we are able to offer athletics activities for each boy, from the newest player to the competitive athlete, from JK-Grade 8. Boys of all skill levels can try a new sport, strive competitively and enjoy inclusive team play with classmates and friends. The main goals of our Athletics program are to help boys develop physically, socially and emotionally, build positive relationships with their teachers and peers, develop a lifelong ability to make healthy lifestyle choices and foster a love for physical activity. Within each age group, we offer three different levels of team play: competitive teams compete against other teams in the Conference of Independent Schools Athletic Association (CISAA); intra-mural teams compete against other teams at SHS; and inclusive (or cooperative) teams offer non-competitive involvement in team sports. At Sterling Hall, every boy who wishes to participate in a sport will find a place on a team, regardless of his ability, and we encourage every boy to find a sport he enjoys. Boys are placed on teams according to aptitude, personality and skill level. Physical education classes teach the skills that are required on the teams available at that level. Each team is coached by two members of faculty or staff. 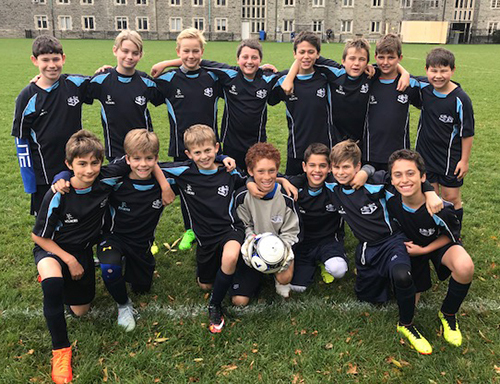 Boys in the U10, U11, U12, U13 and U14 leagues have an opportunity to participate in competitions against other CISAA teams. This can involve travel within Toronto and sometimes across Canada. When travel outside our city is required, boys are billeted to the homes of CISAA boys and their families. We offer development programming for boys in JK - Grade 2. These programs cover games suitable to boys in this age group. Boys learn skill development and team work, in preparation for their later participation on a team. We value and develop confidence and resilience, kindness and respect, with the courage to advocate for oneself and for others.